One day, back in February this year, whilst striding down Trumpington Street after spending an afternoon at the Cambridgeshire Collection, I felt a rush of pure elation and was reminded of some advice a friend had recently shared on my future direction after finishing the PhD. She said ‘do what gives you joy’. Since that time the experience of researching, writing and publishing ‘This Book Is About Heffers’ has given me mountains of joy – as well as anxieties, challenges, frustrations, and sadness. There were many things to tackle. For example, the pros and cons of having a personal connection to the topic, finding people willing to share their memories, using digital networks without making a nuisance of oneself, making the most of a face-to-face gathering, visiting people in their homes (and finding their homes in the first place! ), recording conversations (with rather odd, and sometimes peripheral, sound effects), finding myself dreaming about it all, and deploying diplomacy at all times. I don’t claim to be an expert on doing social history, or any sort of history, and I did have some terrific help with aspects of the project. 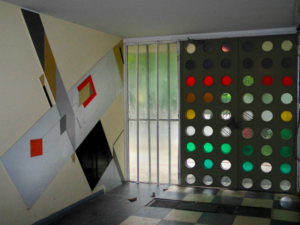 My aim in this series of blog posts is simply to reflect on the experience and hopefully, by doing so, share some useful lessons for anyone who wishes to undertake a social history. I’d also love to hear from anyone who has advice to share, as this experience has left me wanting to do more, and I have a lot to learn! It’s not obligatory to have a personal connection with the topic but if you do, it can help, especially at the beginning when you’re trying to explain why you’ve embarked on such a major undertaking. And even when the word is out, (people said ‘she’s writing a book about Heffers’) you’ll need to revisit that special connection from time to time. For me, there were many quiet moments in the study when I thought about my family members who had worked for the firm. It sounds whimsical but I sensed their approval of the legacy I was trying to create and it gave me an inner confidence. It was, and still is, a nice feeling. A personal connection can also, however, create a bit of a dilemma, as it did with this project. The book was inspired by my childhood memories of visiting Heffers Children’s bookshop every Saturday morning, and of course, by my family’s association with the firm. The memories are uncomplicated but the family association caused a moment of anxiety, which I will explain, as I suspect the scenario is not uncommon. I hail from a line of Cambridge booksellers, bakers, college bedders and bus cleaners. 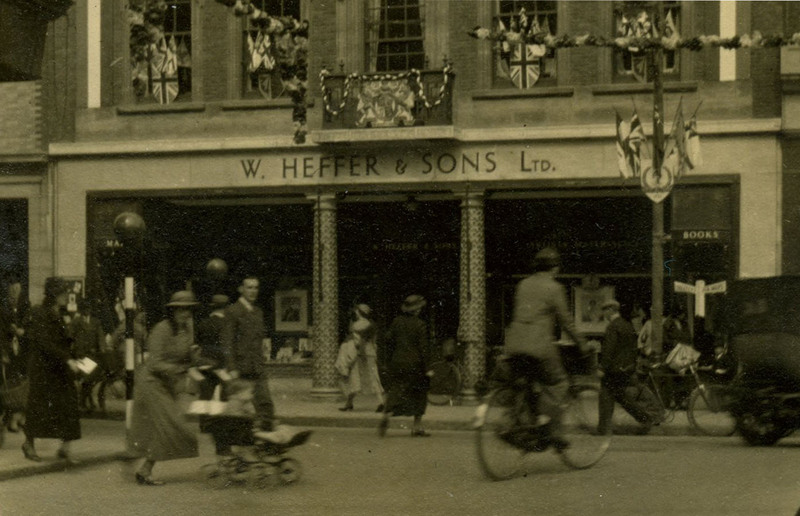 Members of my family clocked up 120 years of service with Heffers, starting with my great-grandfather, Frederick Anstee, employed by William Heffer in 1896 when the Petty Cury bookshop was first opened. Frederick, along with bookseller F. J. Sebley, was one of the first employees at Heffers, at least on record. 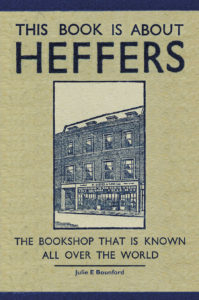 Since then of course, hundreds of people have worked for the firm and indeed there have been periods when Heffers employed well over 500 people at any one time across the bookselling, stationery and printing divisions. There are several stories in the book about the different ways in which people got started at Heffers, and how they fared. Frederick, who rose to become Head of Science, sadly died suddenly in 1944 whilst still in service. Littlechild’s letter wasn’t actually the issue that caused the ethical quandary as I wrote the book, though it probably contributed. In late July, I was told in no uncertain terms that Heffers is “our” family firm and that this must be stated in the book. This created a rather delicate situation. Whilst I didn’t want to hurt anyone’s feeling, I wasn’t comfortable with making such a claim. Nor was I comfortable with being told what to write. I don’t mind being asked to take something into consideration, and in my work I do try to be sensitive to people’s feelings – and to my own. And so, when this exchange occurred, a number of questions, some of which I’d already been grappling with, came to the fore. How do you balance personal involvement with a dispassionate telling of the story? Perhaps it’s like doing sociology, you must hold your connection up to the light so that it can be seen and acknowledged. I did include a narrative about my family’s association with the firm and indeed quoted letters from members of the Heffer family who clearly had high regard for Frederick. I also acknowledged the claim about it being “our” family firm, whilst at the same time declaring that no doubt Heffers had engendered a similar sense of loyalty in many Cambridge families. Who does the story belong to? 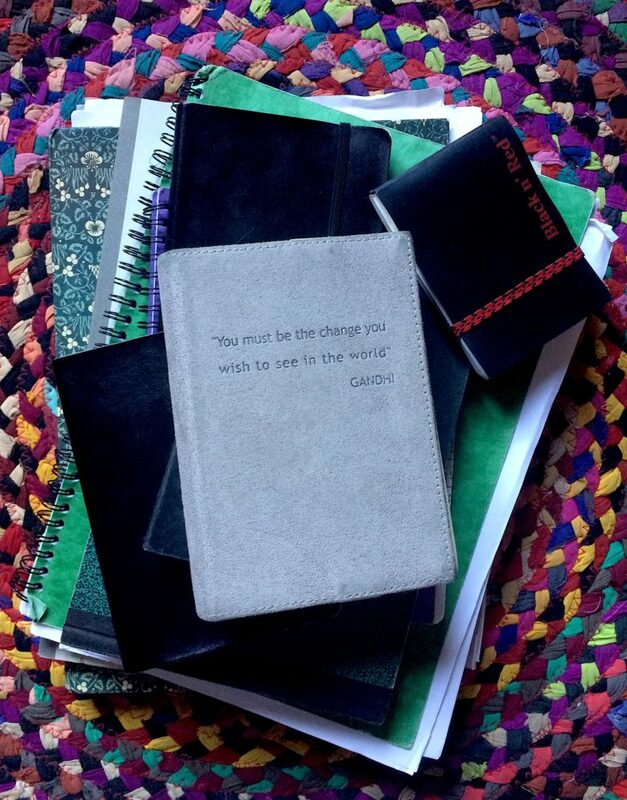 I’m collecting, curating and interpreting people’s memories that are given freely and openly. 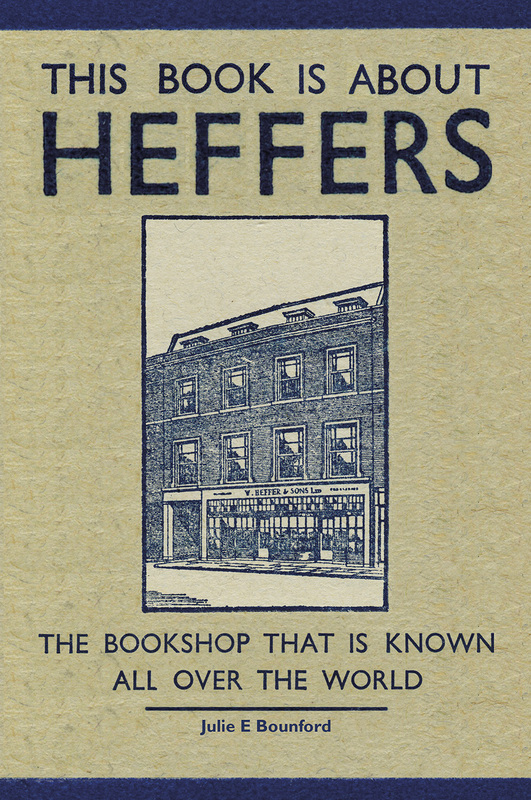 The history of Heffers, as with other histories, is not in some exclusive ownership. It lives in people’s minds and it’s evolving. The story belongs to everyone and no one. It doesn’t belong to the Heffer family or to any one family, and certainly not to mine. Who has responsibility for the publication? As the author, and the publisher in this instance, I have the responsibility. I may have an aversion to the phrase, ‘my book’ (for reasons I need not explain here), but it is my doing. I initiated the project, took control and decided what to write. I was sensitive to people’s feelings, I checked stories and quotations and I made changes accordingly. I did my best to get things right and I didn’t want anyone telling me what I should write. In that sense, perhaps is has to be ‘my book’. The next post will be about finding people with stories to share.